Canadian’s can move fairly freely between the United States and Canada and do not require a visa to enter the United States in order to visit the for business or tourism purposes. Before the Western Hemisphere Travel Initiative, Canadians didn’t even need a passport to enter the United States. Now a Canadian may enter the United States without a visa for business or tourism but must have a passport to prove Canadian citizenship. 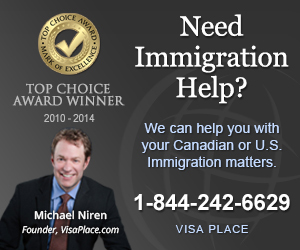 Canadians who enter without visas are admitted to the United States as B1/B2. This visa allows the Canadian to travel in the United States for a period of 6 months for business or pleasure. Importantly, the Canadian visitor cannot engage in employment in the United States or receive any renumeration for services or business dealings he may have during his trip. This could be construed as unauthorized employment and cause you to be found inadmissible from the U.S.